"One of the great mavericks of New Zealand Film"
NZ On Screen Pushing Top 10 for 2015 - see how they rated Angel Mine. NZ On Screen Pushing Boundaries - see Featured section. Video: A celebration of the dark and fantastic films of Kiwi enfant terrible David Blyth. Showing 26 Aug - 3 Sept 2015, at Ngā Taonga Sound & Vision, 84 Taranaki St, Wellington. 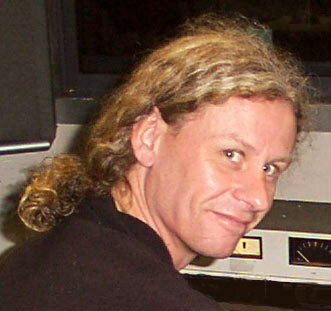 With many international festival releases, David Blyth has carved a niche with a recent series of cult horror films, ground breaking documentaries and feature films. Here you can obtain David Blyth, DigitalWallpaper.net and DavidBlyth.com releases. Warning: It may shock some viewers with its honesty. 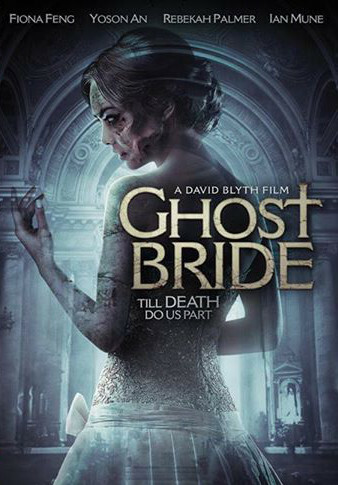 Latest news on Ghost Bride festival including releases and an interview with David Blyth on Maori TV. As a director of film going into the new Millennium I wish to continue visually transforming exciting stories from the page into a dynamic visual language. My influences from one hundred years of cinema include the greats, Luis Bunuel and Fredrico Fellini through to the contemporary genius of David Lynch and Ridley Scott. I love to work closely with actors ever seeking to create truly memorable characters with emotional arcs that will take the audience on an unforgettable filmic journey. One of New Zealand's most controversial films tells of the descent of a suburban couple into a nightmare reality based on their own lives. A Southern Hemisphere version of Derek Jarmen's JUBILEE. 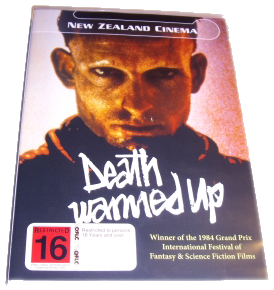 This film had successful international release through the New Zealand Film Commission. A dramatic depiction of the tense struggle of a group of young women sent to work as servants in the British Colonies last century. A young man is mentally programmed to kill his father. He returns years later to avenge the death in his quest for revenge. Suspense Thriller An eminent doctor (played by Christopher Plummer) seeks the help of an alternative molecular scientist to find a cure for AIDS. Neither party gets what they bargained for and the stakes become very high. Selected for the following festivals: Amsterdam, Brussels and Wellington. International Distribution with sales in over 80 territories. Veteran American actor Al Lewis plays a Grandpa in this delightful children's film. He is not your usual kind old man- he's really a friendly Vampire who doesn't like blood! Selected for the London Film Festival, also major festivals in Moscow, India, Belgium and the Netherlands. 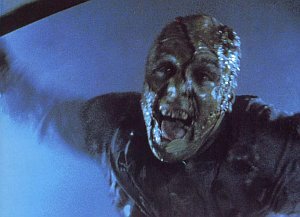 Returning home for Thanksgiving, a college student’s good natured act of stopping to help a young woman becomes the wildest and most terrifying ride of his life. Co-Producer with Harry Wong: Harry Wong Director. Thriller: Feature Film starring Ron Silver and Alexandra Paul. ( Blockbuster USA) A photographer with a haunted past finds himself accused of a series of murders. Sold to 20 territories worldwide / 4th Highest NZ grossing feature film in overseas sales. Feature Documentary 73/ TV3 version 44 minutes. An intimate look inside the lives of a group of New Zealand Dominatrices and their Dungeon practices. A tranquility fish DVD. Magna Pacific. Transfigured Nights is an experimental documentary that explores the wildly perverse fetishistic pleasures of webcam mask performance. Wound is a feature film that marks a return to the horror genre. It was released theatrically and was festival hit around the world, and is now released internationally as DVD.